Raise money for the Foundation with what you already do! Search the web with GoodSearch.Get started by clicking the "Become a Supporter" button on our profile page or go to GoodSearch.com and type in IES Brain Research Foundation. It only takes a minute. Help IES Brain Research Foundation!!!!! 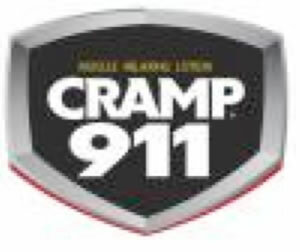 “Cramp911 is a new class of OTC medication aimed at relieving muscle cramps and spasms in under a minute thus avoiding the “post-cramp pain” so often associated with cramping. Active ingredients include a mineral-rich formula of copper and magnesium. Cramp911 relieves spasms resulting from athletic activity, night-time cramping, neck and back spasms, statin or other prescription-induced cramps, dehydration or even cramping associated with chronic conditions such as Parkinson’s Disease, diabetes, kidney disease, multiple sclerosis and fibromyalgia. A single application of Cramp911’s FDA-approved homeopathic ingredients offers fast relief that lasts for up to eight hours”.